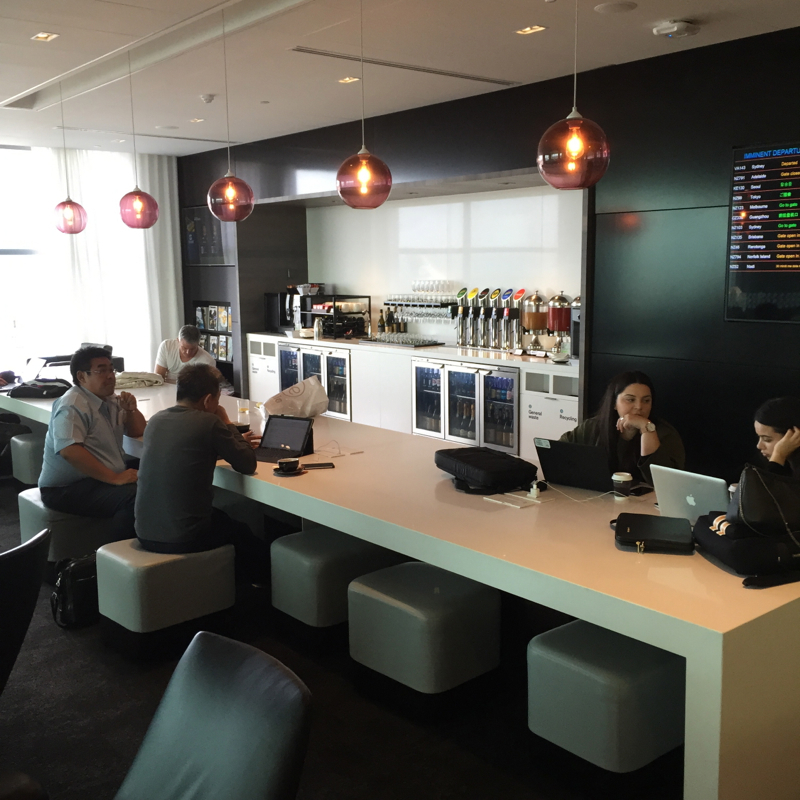 This Air New Zealand Auckland Koru Lounge Review at Auckland Airport is from a New Zealand trip report. 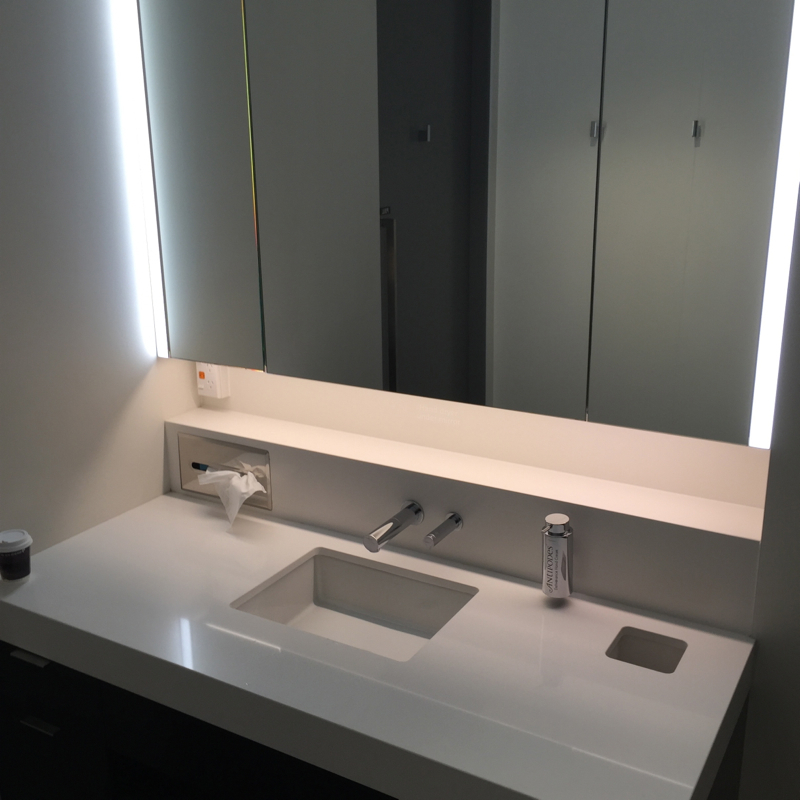 For all our posts on New Zealand luxury lodges and dining, please see our posts tagged New Zealand. 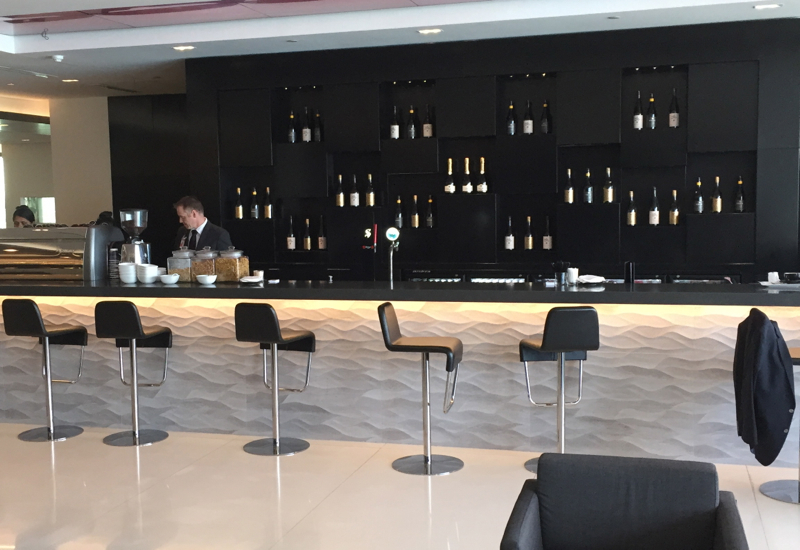 The lounge was recently renovated at a cost of $14 million (New Zealand dollars, but still), including a cocktail bar, great views of the runway, an outdoor terrace, media room, children's play room, and more power outlets. 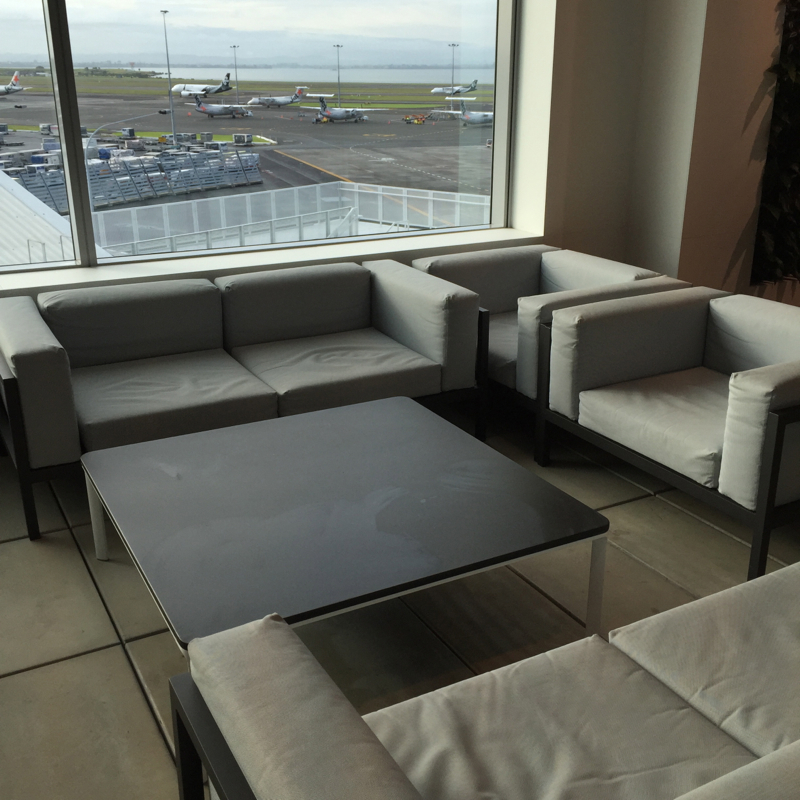 I had a morning flight out of Auckland, and was excited to try out the Air New Zealand Lounge. 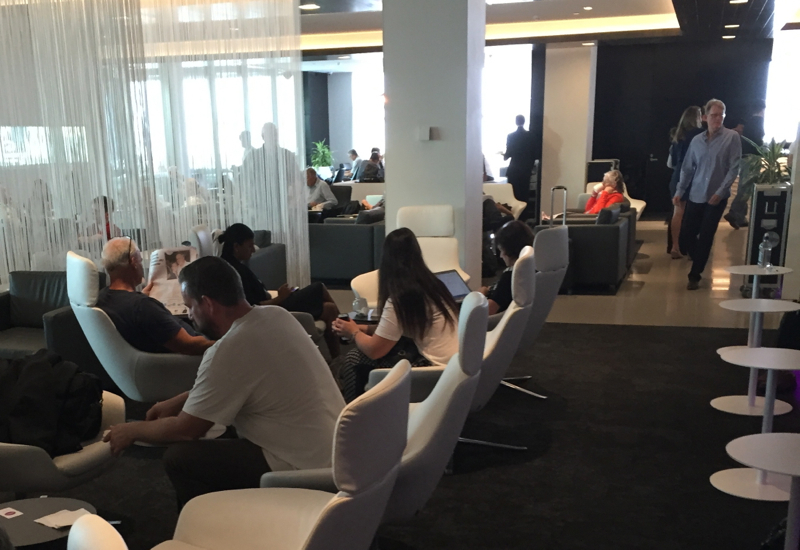 The lounge was rather crowded as it seemed that many passengers were like me, waiting to depart on their morning flights. But the lounge was very large, and had so many different seating options and areas, that if you wanted to it was easy enough to find an abandoned, quiet nook to relax or read the newspaper. 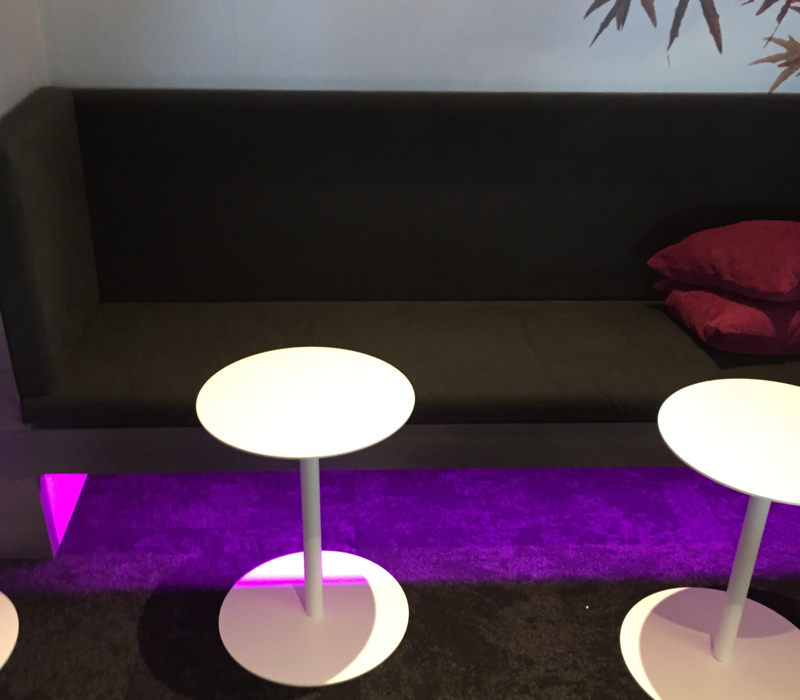 Here are just some of the stylish and wildly divergent places to sit and relax. 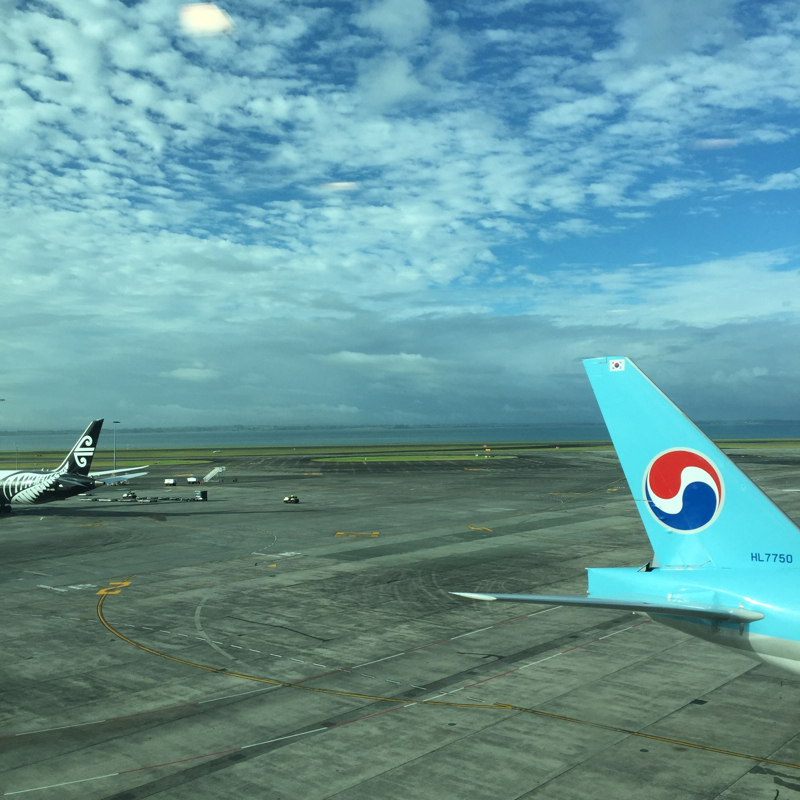 The lounge also has fantastic views of the tarmac. The lounge contained a very lovely and clean shower area. 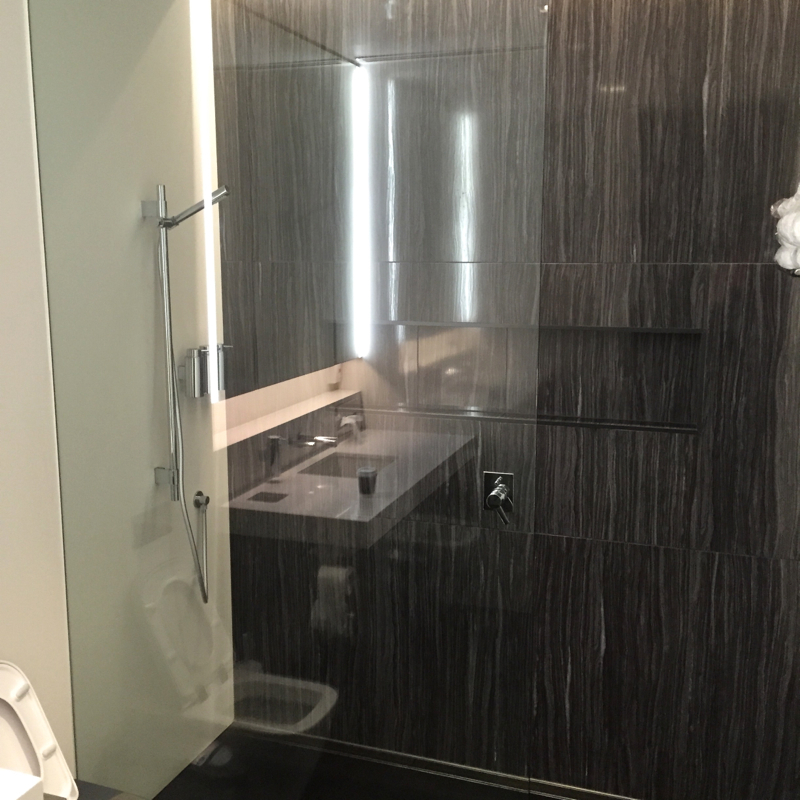 The area was completely empty, and the showers looked spotless and very tastefully designed. 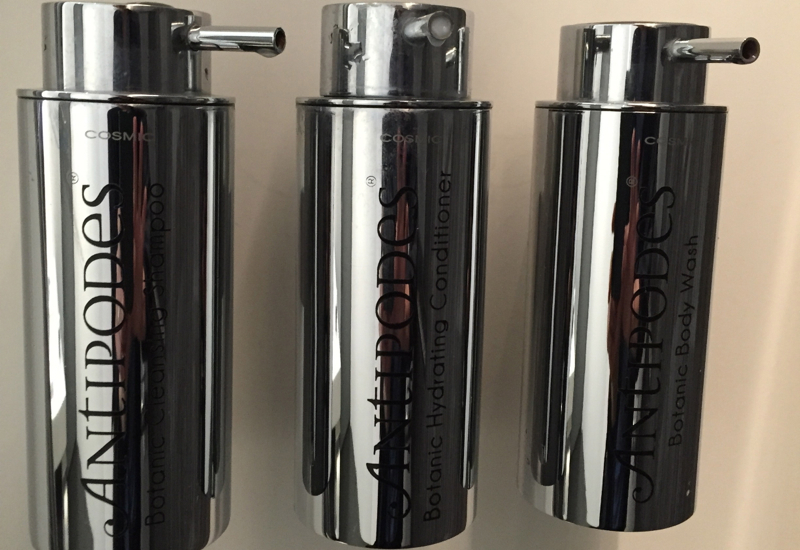 The shower products were Antipodes. The lounge also had a fun-looking kids' club, with a very unusual upper loft area in which kids could play. 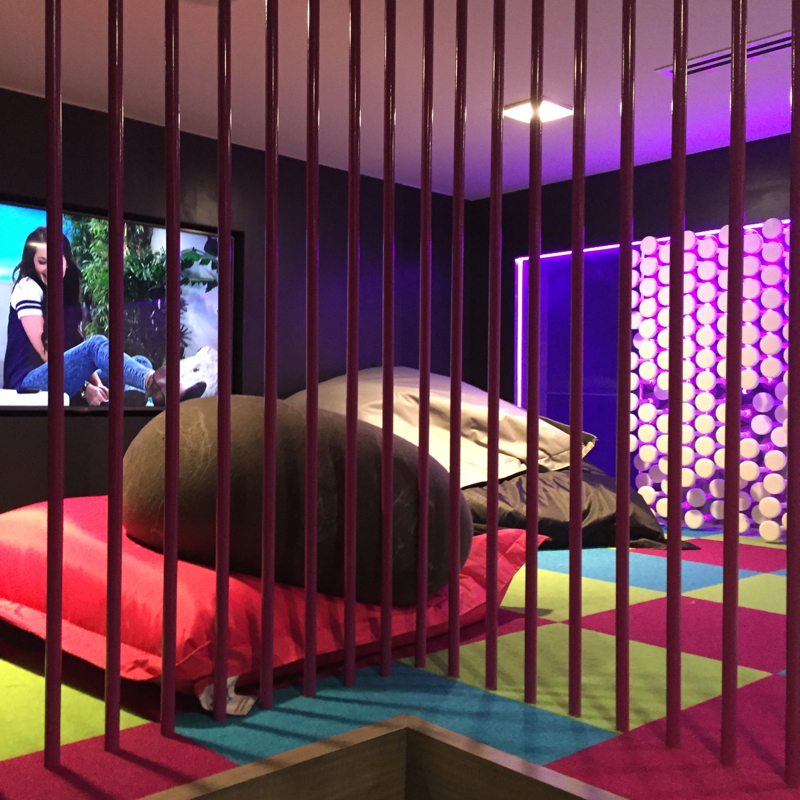 Although the design of the area was very playful, there were not many toys, and there did not appear that there was very much for kids to actually do. Still, it would be a useful area if you had brought your own toys or nooks to read, and simply needed a place for your kids to run around or act like kids. 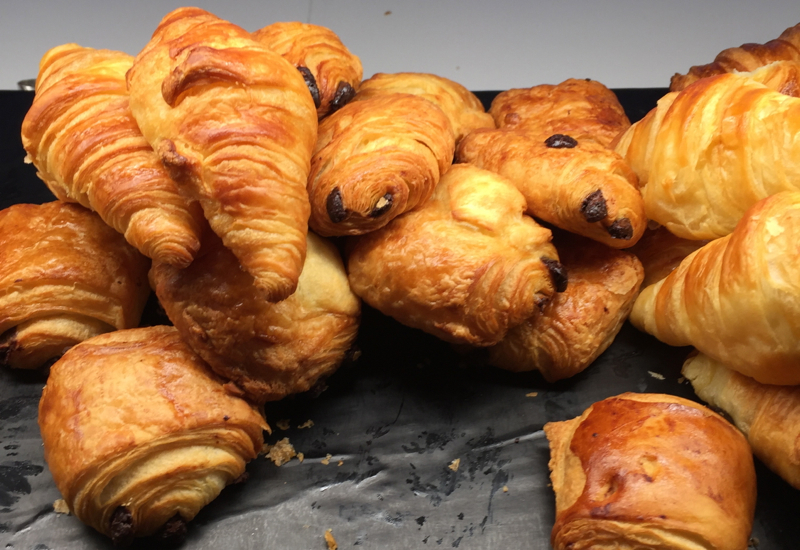 Because I had no breakfast at my hotel, I made a beeline for the dining area. It was spectacular. Of course there was the usual fare such as eggs and sausage, but also fritters. 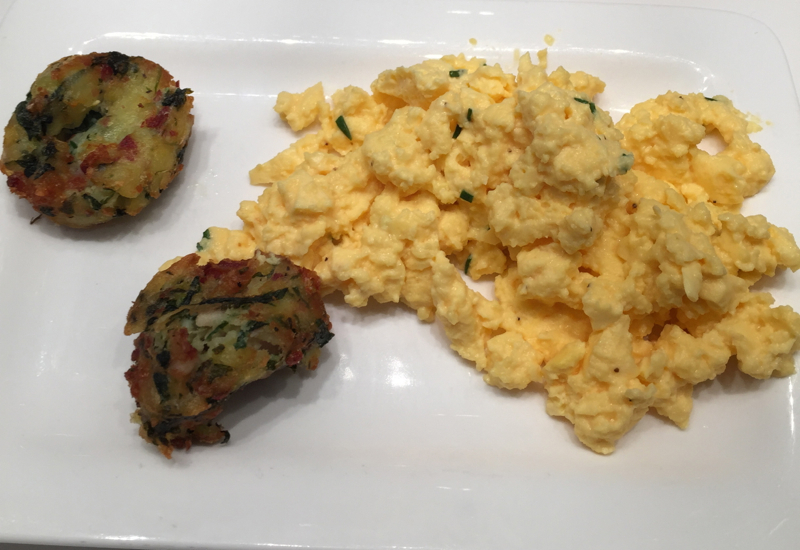 I loved the spicy eggs, and the fritters were fresh and crispy. 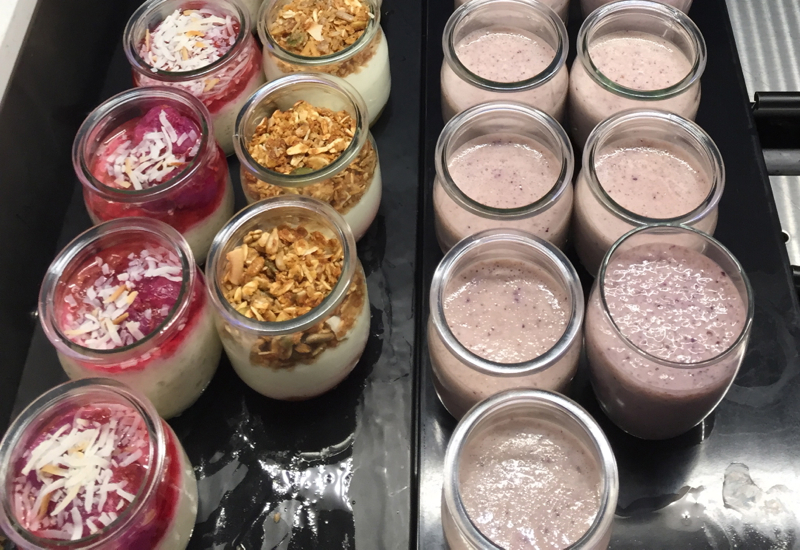 There were many varieties of ready-made yogurt and granola, as well as a make-it-yourself customized yogurt and granola bar. 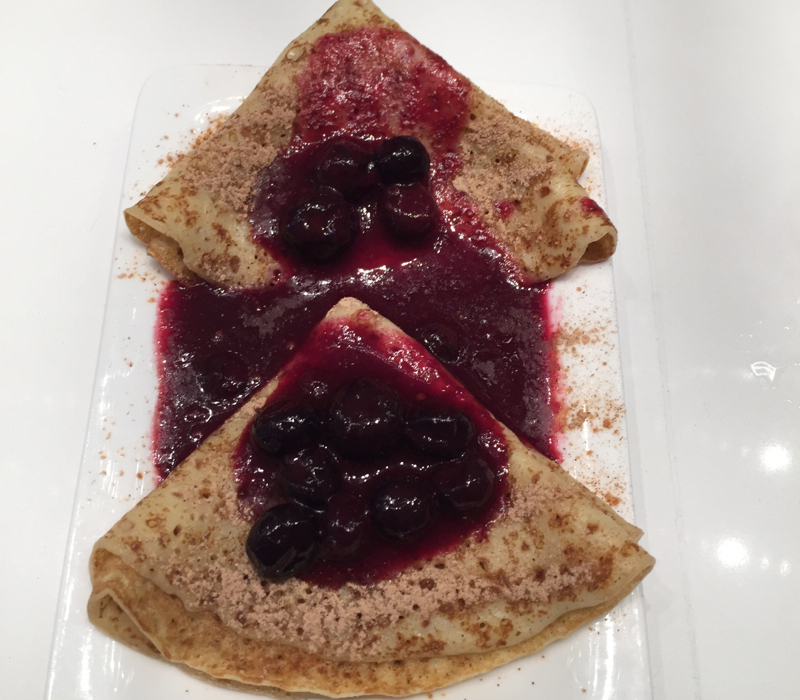 But the absolute highlight was a crepe bar, where you could choose your own type of crepe, and have them freshly-made. I chose cherry. They were fabulous. The dining area also featured a soda machine and bottles of wine, both of which I avoided. 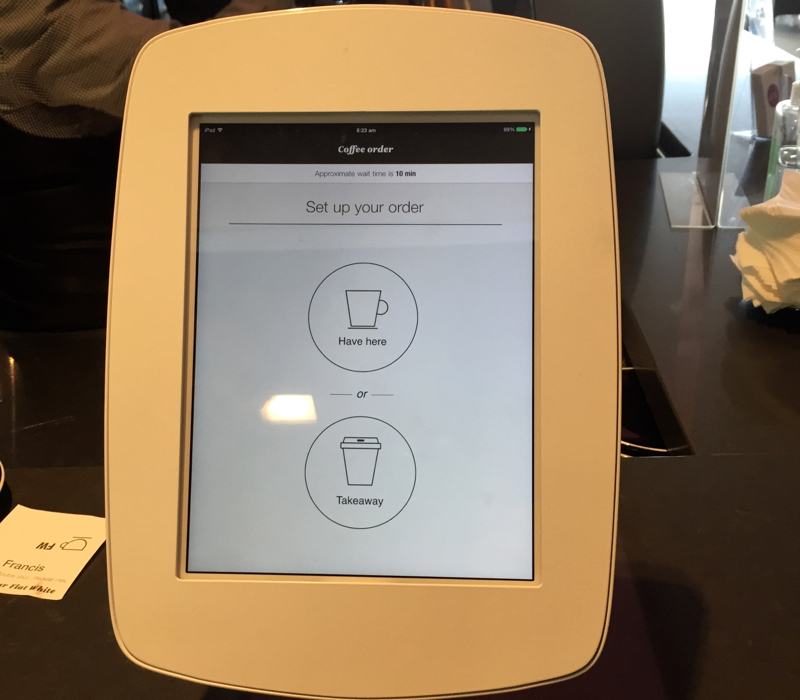 But I was delighted to see that, in addition to the usual espresso machine, the lounge featured its own mini-Starbuckish coffee bar, with an iPad enabling customers to place their own orders of bespoke coffee drinks. I chose a café latte, which was delicious and woke me up. The dining area was spacious, and there was even a wine bar which was mostly empty due to the early hour. 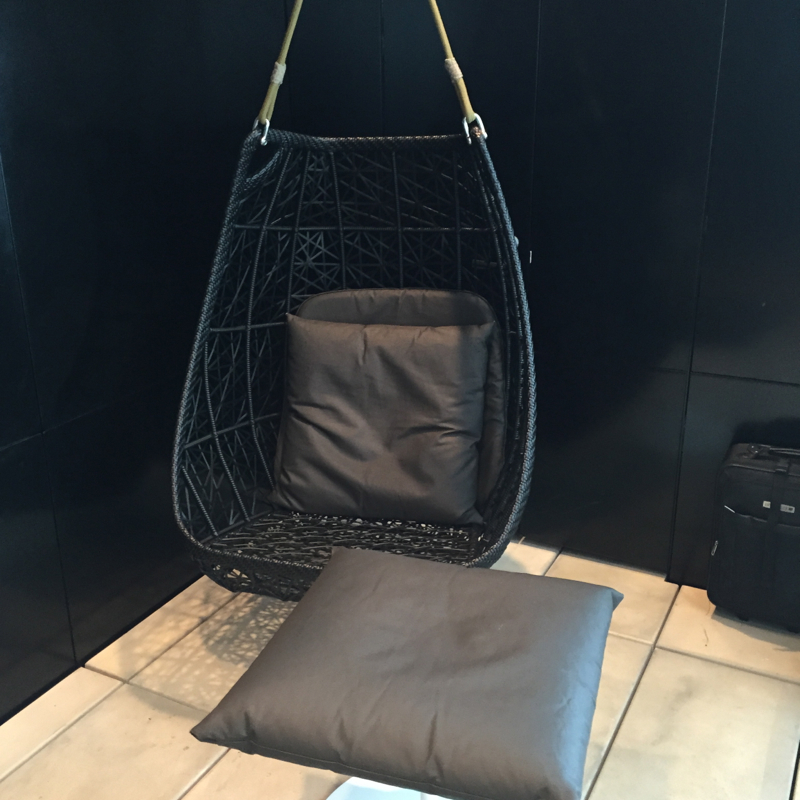 I loved the Air New Zealand lounge. 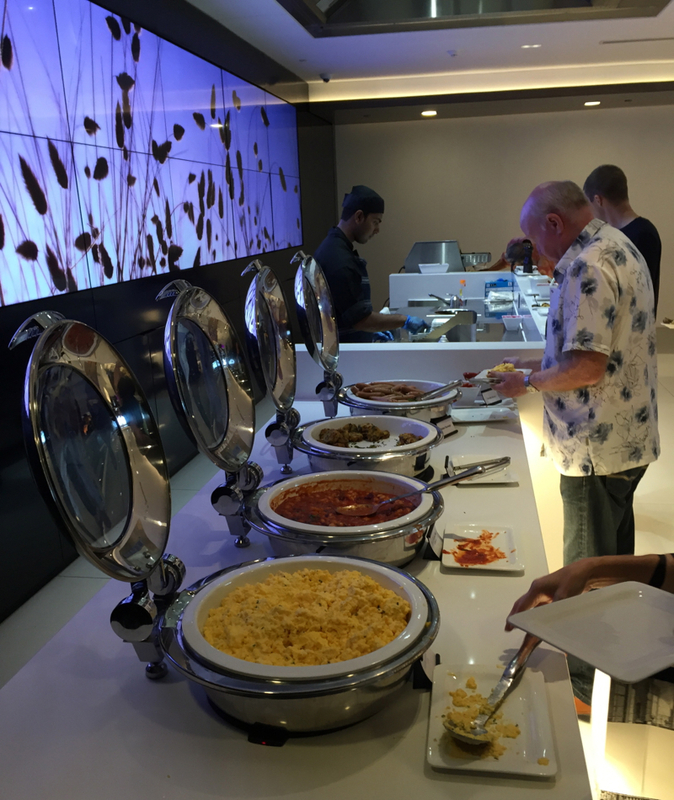 Even with all the bustling morning activity, the sleek and stylish feel of the lounge created a calming influence, and the breakfast dining options were fantastic. 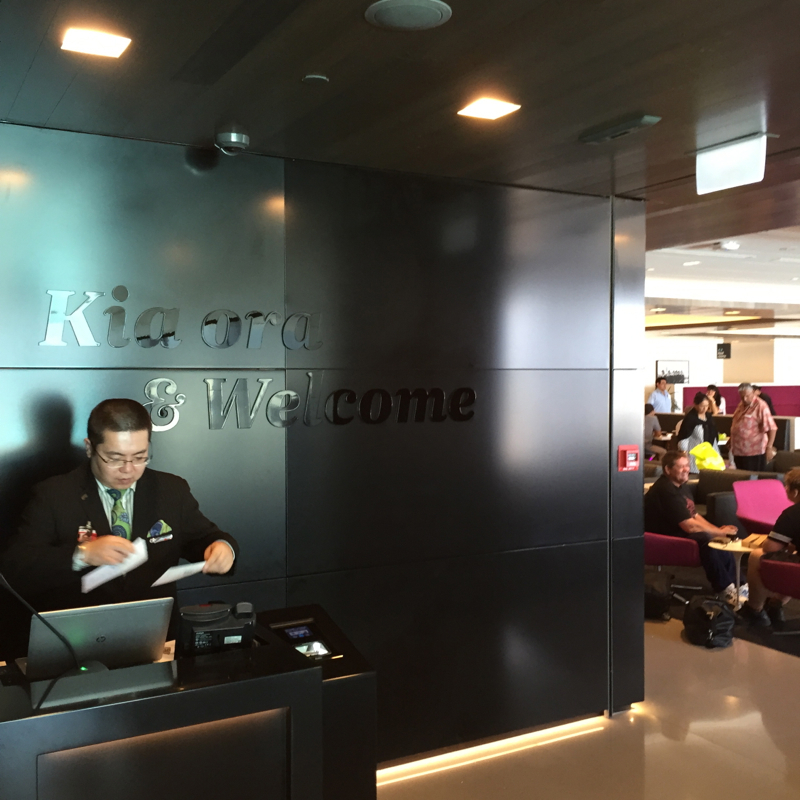 If you've visited Air New Zealand's new Koru Lounge at Auckland Airport, what was your experience? Become a TravelSort Client and Book Your New Zealand Luxury Lodge with VIP Amenities!